More than a century before someone coined the term “selfie,” Edvard Munch was turning the camera on himself. While Munch is best known in pop culture as the artist behind “The Scream” – that expressionistic visage pictured mid-shriek – his photography is only just now beginning to receive its critical due. 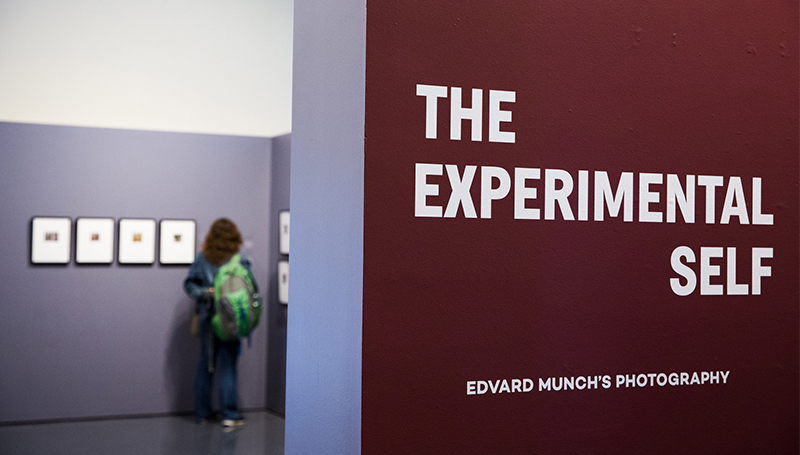 Marking only the second time it has been on public display, “The Experimental Self – Edvard Munch’s Photography” can be seen in Spiva Art Gallery for an exhibit that will continue through Oct. 19. The exhibition has been organized by the American-Scandinavian Foundation / Scandinavia House in partnership with the Munch Museum, Oslo. It was originally presented at Scandinavia House: The Nordic Center in America from November 21, 2017 to April 7, 2018. 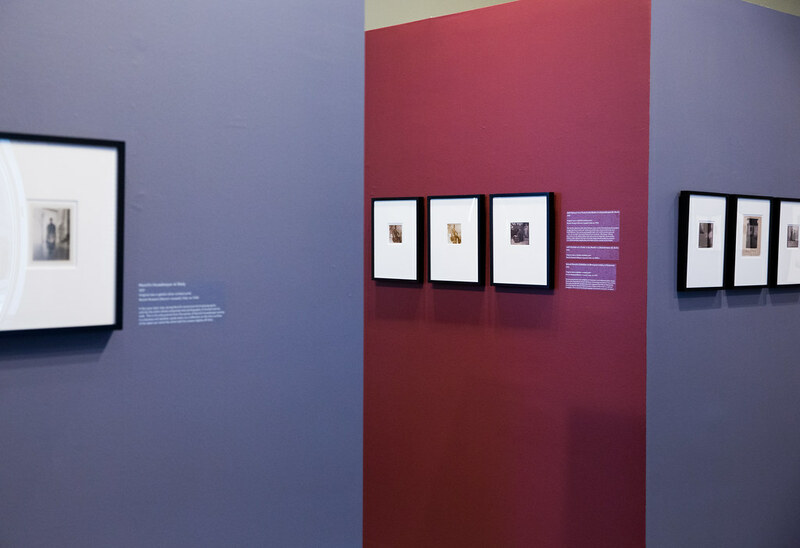 On loan from the Munch Museum in Oslo, Norway, the exhibit features 46 of Munch’s photographs, as well as 12-minutes of home movies shown on a continuous loop. The show at the Munch Museum was curated by Dr. Patricia Berman, a professor of art history at Wellesley College. Dr. Thor Mednick, an associate professor of art history at the University of Toledo, helped secure the exhibit for the Spiva gallery. Known best for his paintings and printmaking, Munch began experimenting with photography around the mid-point of his career, said Frank Pishkur, head of Southern’s Art Department. The photos featured in the exhibit often feature Munch as his own subject, utilizing unique angles, blurred motion and distortion techniques to create very atmospheric images. “Photography was an up-and-coming thing, and cameras were becoming smaller and smaller,” Pishkur said. “He started taking self-portraits. A lot of his artwork was based on portraits of himself. Mednick and Berman will be on hand for artist presentations on Friday, Sept. 14, in Corley Auditorium. Mednick will discuss Danish landscape painting at 1 p.m., with Berman discussing Munch at 2 p.m. Both will attend a reception for the exhibit from 3 to 5 p.m. Admission to the gallery is free and open to the public. Hours for the exhibit will be 9 a.m. to 6 p.m. Monday through Thursday, 9 a.m. to 4 p.m. Friday, and 10 a.m. to 2 p.m. Saturday.